People are paying me to write! This is fun! I gotta tell my mother. This is great. I’m going to write about this and that and I’m gonna change the world… okay maybe just change someone’s mind.About three years ago these were my initial thoughts when I started getting paid to freelance write. Like writing, writing has always been magical to me. I connect worlds of people by connecting words. Contrary to many of my former clients’ beliefs, writing is not magic. It takes lots of hard work to connect the right words to elicit the right responses. Going forward this may sound like I’m ranting about writing but in actuality I’m ranting about the state of the freelance writing industry. I love writing, it’s my first love and if I could, I would marry it. I happen to enjoy it more with the freedom to write about whatever or when I get to write about something that helps someone. I’ve written press releases, web copy, reviews, medical terminology breakdowns (I’m sure that was someone’s homework assignment), editorials, artist biographies…the list goes on. Most of my work came from Upwork and I even found a few clients on Craigslist. 90% of the time these clients approached writing as this magical thing that they had no time for but just need it to be great. Believe it or not, writing comes second nature to me and if I don’t enjoy writing it, I know someone isn’t going to enjoy reading it. I had one client insist I cover the local nightlife scene and the only problem was they were in a completely different country and after establishing I could do I, we talked payment. Some people pay per word, per post, and some just prefer a fixed rate. If spinning articles into gold was a thing I’d give Rumpelstiltskin a run for his money. Going forward before accepting a client I question “Will I be challenged” or “Will I just be the word robot?” coming from a college-graduate who wrote ten page “A” and “B” papers on books I refused to read, a challenge aspect has to be involved. Most of the unpaid work I’ve done was my best and the most enjoyable now that I think about it. I think it was because of the creative control thing. I enjoyed challenging the campus food director in college when the majority of the student body felt like they weren’t getting what they paid for when it came to the quality of food at my university. I saw a story, created surveys, handed them out, collected them, averaged the ratings and reported on it. 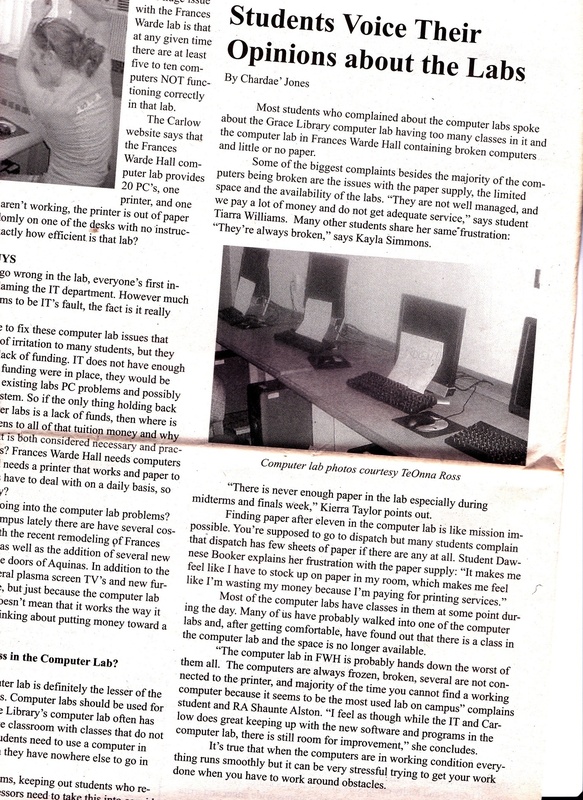 I questioned our access to technology on campus being that our computer labs were sub par at best. They called me a trouble maker because of the stories I reported on. As a person who grew up with two DJs in my household, hip-hop has always been a part of me. 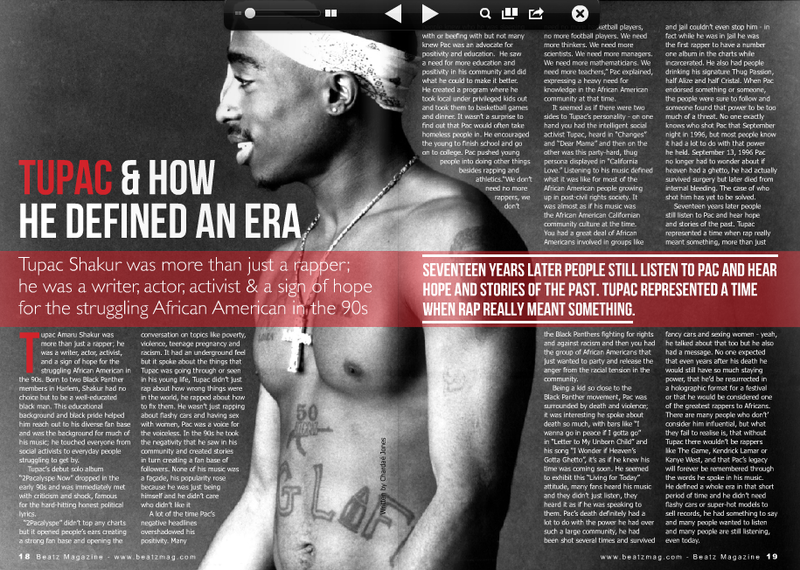 I enjoyed exploring how Tupac defined a whole era of hip-hop. 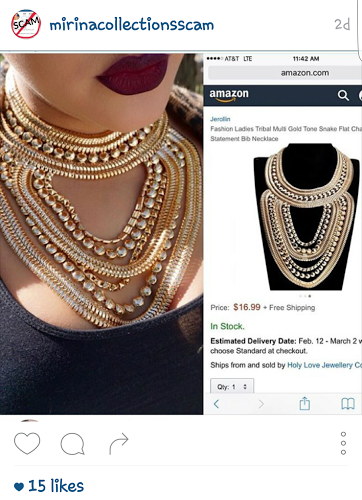 Recently, I reported the facts on a beauty scam that’s conning bloggers out of their money and counterfeiting jewelry. Writing words that challenge not only myself to think but others is what keeps the spark in me ignited. Sure I love to blog, and writing fiction but there’s more to writing than just fluff. 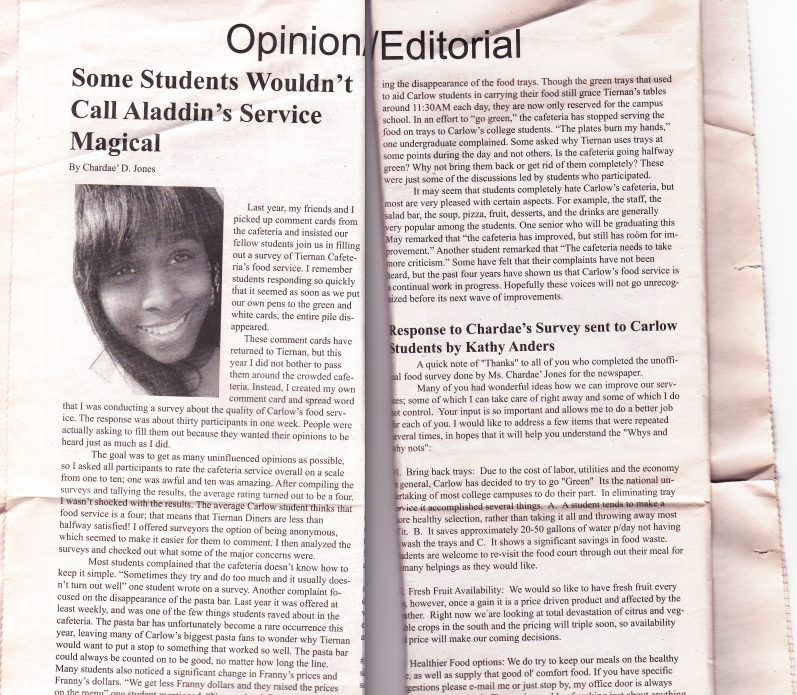 Every time I write a piece of fluff I think about my senior thesis on how technology changed the journalism industry. Everybody’s a reporter and everyone has a tiny attention span and everyone’s counting clicks instead of content and because of the quantity not quality aspect journalism is suffering. No one cares about the passion behind the words now a days. Now it’s “We want to give readers what they want. Condense and digest the words for them so they don’t’ have to break them down themselves.” Buzzfeed is awesome sauce but it’s time to go beyond Buzzfeed. When writers start to feel like word robots, than it’s time to question the client. Recently I took on a very important client…myself. 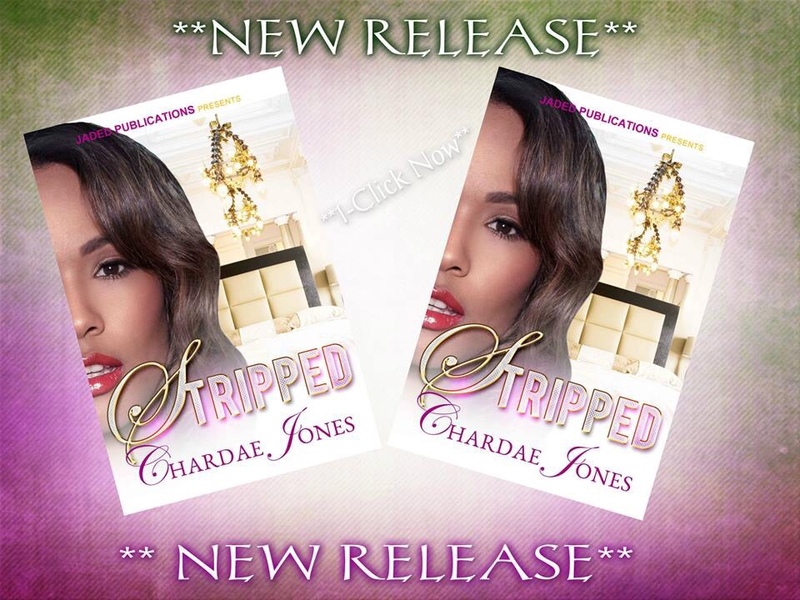 After dealing with a shady publisher last year, I learned from her mistakes and I’m self-publishing three books this year. I’m also challenging myself to put a little variety into my blog posts when it comes to topics. Not having a voice is worse than having a terrible voice. And getting paid to review music I don’t listen to, write about places I’ve never visited and end up with fifty dollars for ten articles is insanity and I’m cheating myself. So I’d rather enjoy the process than feel like I’m obligated to do so. Have you had any crazy freelance experiences? How do you feel about the state of journalism right now?